Do you remember going into middle school? You may have been excited to start but once you got there everything seemed different. Teachers expected more, friends formed new alliances and left you behind, and you may have felt lost. 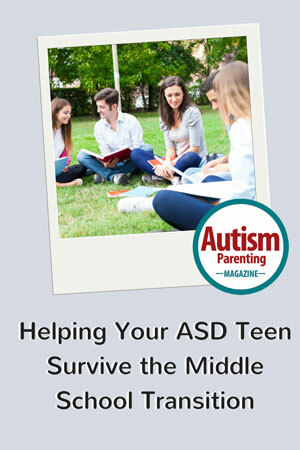 Transitioning into middle school is hard for any teen but particularly difficult for teens on the spectrum. Everything begins to change at this time in a teen’s life. Teens tend to become more independent at this time and start separating from their families. They think they know it all. At the same time, friends that they’ve had for years may no longer want to hang out with them because they are trying to get into the “in” crowd. Puberty heightens emotions and only exasperates the situation for the teen feeling left out and they don’t want to go running to their parents with their problems. 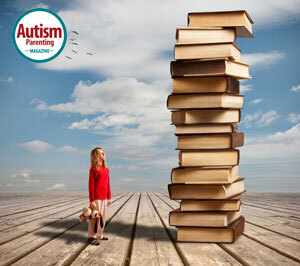 What can a parent do to help their teen through this transition? The first and foremost thing to help your teen is to let them know you are still there for them even though they may not be as open with you as they once were. Try to set some time aside at least weekly that is quality time for you and your teen. Talk about anything they want to talk about. If you ask questions and your teen isn’t reciprocating in the conversation, go to a topic that you know they enjoy talking about. If you get them chatting about something of interest they may feel more comfortable opening up to you about other things. If a teen has lost a friend upon entering middle school remind them that a true friend wouldn’t abandon them just to fit in with others. A true friend could be trusted. A true friend wouldn’t try to get them into trouble. A true friend would be there for them no matter what. A true friend would listen. Ask your teen what they would do if their new crowd didn’t like one of their old friends. Would they turn their back on them or would they honor the tried and true friendship. This of course isn’t going to instantly make your teen feel better but it will give them something to think about. If your teen’s friends change, take the time to get to know the new friends. Pay attention to who your teen is hanging out with and what activities they are participating in. Stay involved with your teen’s life. Always make sure you know where they are going, who they are going with and when they expect to be home. Keep a list of new and old friends phone numbers so you can easily check on your teen if you think there may be something awry. Keep a close eye on changes in behavior and attitude. Stay in touch with the school. Keep in contact with teachers and the school counselor even if there seem to be no issues. Always attend parent/teacher meetings and parent nights. This is your “in” to find out if anything is going on in school that your teen may not be telling you. This may turn into one of the most difficult times for your teen, but on the bright side, as old friends fall to the wayside, they will form new friendships and alliances that could last a lifetime. Lisa Timms has a Master of Science Degree from the University of Scranton. She is the author of “60 Social Situations and Discussion Starters” published by Jessica Kingsley Publishers. You can find her book online at http://www.jkp.com/catalogue/book/9781849058629. She is also the creator of The Timms Social Skills Program. A live, fun, interactive, peer-to-peer online social skills program which is offered nationally for students ages 6-18+ with Autism, Aspergers, ADHD and/or related disabilities or atypical students who may be struggling with their problem solving and/or social skills.